Martin Hopkinson opened this discussion by suggesting this painting of Sir Charles Bine Renshaw was painted by Theodore Blake Wigman, who exhibited a portrait of Renshaw as no.67 at the Society of Portrait Painters exhibition in 1898. According to Paisley Museum and Art Galleries, the work is not signed, but there is a plaque affixed to the frame that reads ‘Sir Charles Bine Renshaw of Barochan and Garvocks Bart, Convenor of the County of Renfrew 1915–1918’. The collection had presumed the portrait was commissioned after 1918 and therefore not the portrait from the 1898 exhibition. Gregory Burgess dated the painting to around 1908, and Andrea Kollman provided evidence from an issue of The Scotsman, Friday 26th December 1913, that George Fiddes Watt exhibited a portrait of C. B. Renshaw at the Paisley Art Exhibition, adding that other portraits by Watt painted around that time are similar. Gregory also discovered that Renshaw’s funeral was well attended, suggesting an admired man who, Gregory suspected, may have been the subject of posthumous commissions. But who commissioned the work? Tim Williams discovered a reproduction of Watt's portrait in a 1913 edition of the Railway Magazine, vol.33, p.187, as it was commissioned by the directors of the Caledonian Railway Company and presented to Lady Bine Renshaw in the same year. Barbara Bryant referred to the Railway Magazine at the British Library and confirmed that the portrait was indeed painted by George Fiddes Watt. The collection thanked Art Detectives for tracing the artist and date of the portrait. Art UK closed the discussion saying that the painting is now listed as the work of George Fiddes Watt (1873–1960), dated 1913. 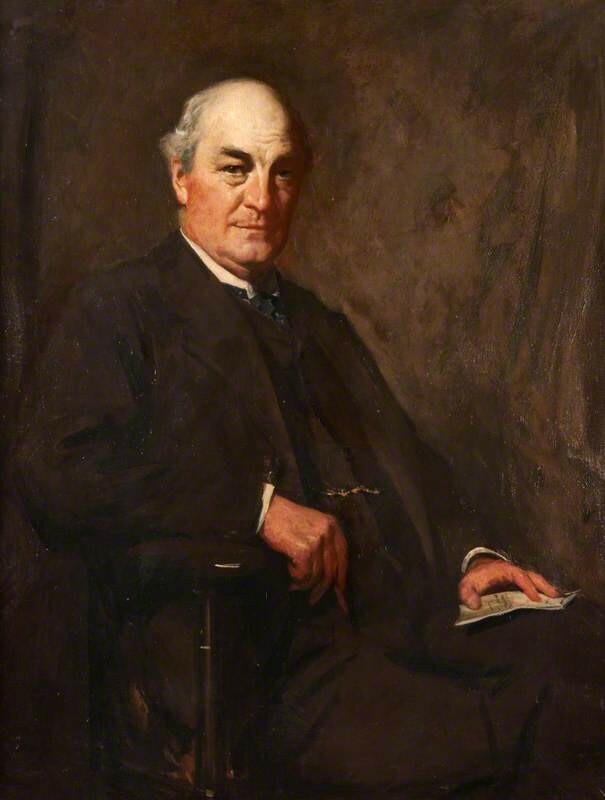 Can the artist of Sir Charles Bine Renshaw's portrait be found? When was the work painted?